Don (Spokane, United States) on 25 March 2019 in Landscape & Rural. Yes, that does all look very 'considered' ! Looks nice and well too live with the horses nearby. Everything is so nice and tidy....and I love hat barn. I love this angle..I love those fences too!! A very nice house and barn Don. 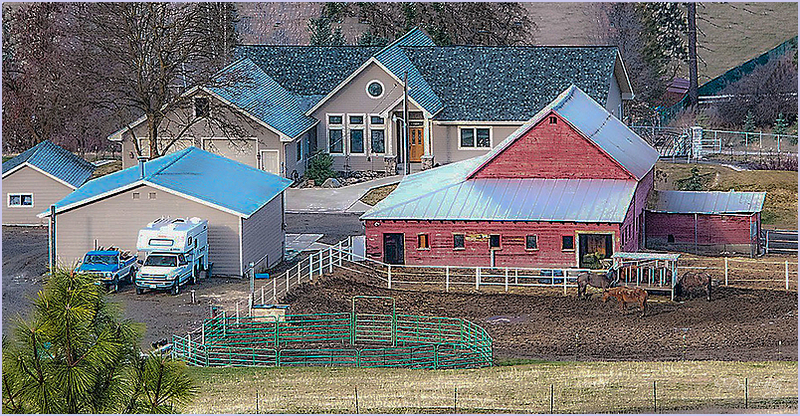 It is interesting how the barn is in the front of the house. Everything looks so well maintained. It is a nice compact place. The barnyard aroma seems pretty close to the house. Good things I don't see any pigs in the barnyard.